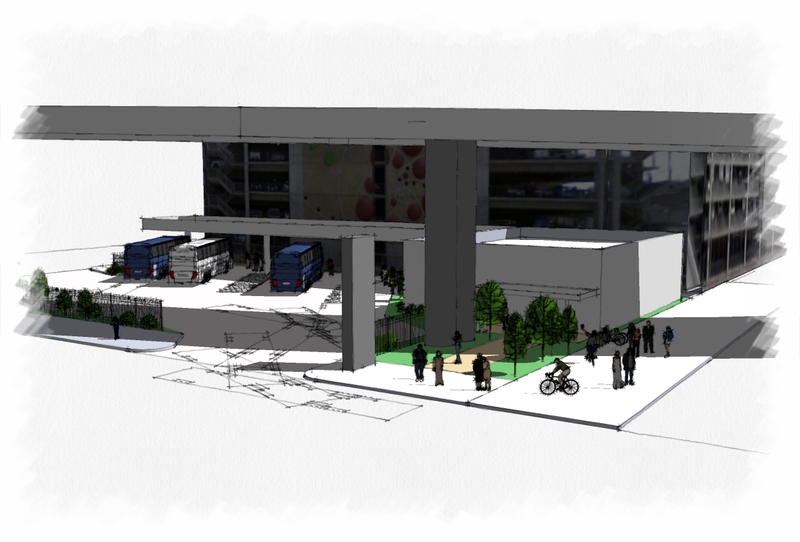 INNOVEX staff provided support for the development of a new Greyhound Bus Passenger Terminal on a half-acre of abandoned industrial property near Interstate 90 in downtown Seattle. Services included project management, National Environmental Policy Act (NEPA) compliance evaluations, contaminated soil investigations, environmental and land use permitting, and complex stakeholder negotiations. The results of this work allowed an under-utilized and abandoned industrial property to be redeveloped into a gleaming new passenger terminal within a multi-modal transportation hub. One of the challenges of the project was that the property was in an area of known contamination of unknown extent. The team performed Phase I and Phase II environmental site assessments to establish existing contaminated conditions prior to executing the property lease. This provided Greyhound Lines, as lessee, a limit of environmental liability for pre-existing conditions. The Phase II also established contaminated soil limits for site construction and allowed construction specifications to include worker protection requirements. Development of the site, located within a Federal Highway Administration (FHWA) limited access area, required close coordination with the City of Seattle, Washington Department of Transportation, FHWA, and Greyhound, as well as stakeholder outreach to Sound Transit, King County Metro, and King County. These efforts, combined with well-scoped environmental documentation and high quality site design, led to FHWA approval for the first permanent operating facility lease on FHWA right-of-way in Washington.